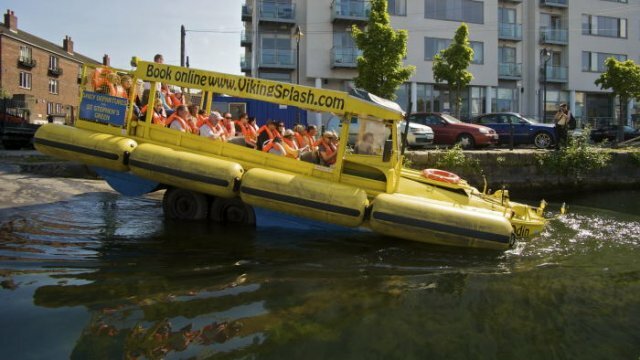 Chitty Chitty Bang Bang has nothing on this beast which has been roaming Dublin's streets and seas for around a decade. 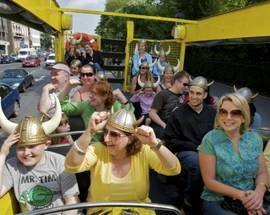 Sporting a Viking helmet in homage to the city's Scandinavian origins, and roaring at passers by like a pillager possessed, tourists take in land-based sights such as St Patrick’s Cathedral, Christ Church Cathedral, Trinity College, Leinster House and Merrion Square before dipping into the water at the renovated Docklands. 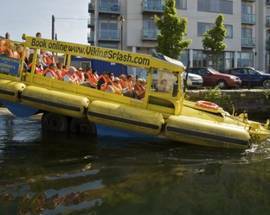 The tours take place in reconditioned amphibious WWII vehicles called “Dukws” which also took part in the D-Day landings at Normandy. 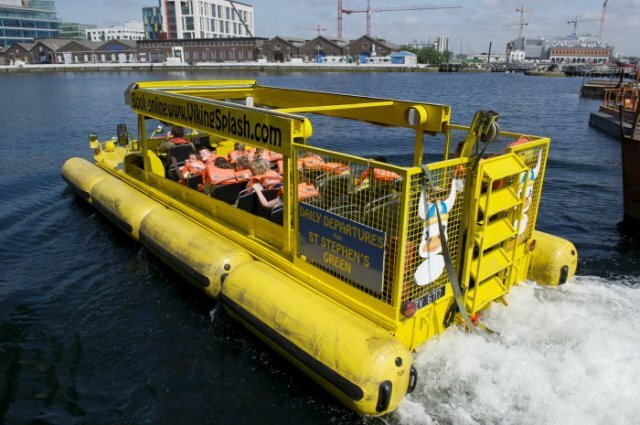 Each tour lasts around 75 mins (55mins on land and 20mins in Grand Canal Harbour). Tours dep. 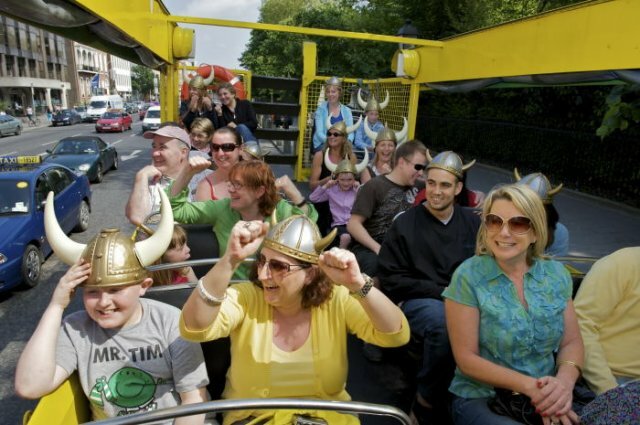 Stephen's Green North, near Grafton St.. Look for the Viking Splash Tours bus stop just behind the taxi rank and water fountain. Tours run 10:00 - 17:30. Every 30 mins on peak season, every 90 mins off peak. Check ahead for times, especially off-peak. 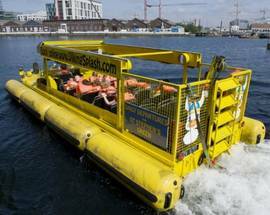 Adult €20, Student/Senior €18, 4-12 €10, 2+3 €60, 10% discount 15+people. Children 3 and under can travel but must alight during water section of the tour.